Use the quick search box below to find your answers to your questions. Begin typing to narrow your search. Access Access, login. ELA Q: Is there a log in required for the ELA? A: Yes if you are using the KReady Online System to report scores. Data Managers will receive log in credentials from the Kready system once your role has been confirmed.Teachers will receive login information as part of their training to access the PD and the Kready system for entering student data. A: Go to ohio.kready.org/login and select the "Forgot Password" option. Access Password Resets - Data Managers, ELA Q: I'm a Data Manager, and I have a teacher that has forgotten their password, what do I do? A: Log into ohio.kready.org/login and select "Users", next to the teacher's name, click the green "Open" button. Select the "Support" tab and scroll to the bottom to select "Send a Password Reset Email". A: To set up a role in OEDS visit http://education.ohio.gov/Topics/Data/Ohio-Educational-Directory-System-OEDS and follow the instructions listed in the "Assigning Roles" document. Once you are set up as Data Manager in OEDS, your information will be sent to the partner vendor for the KReady system, to create your account. You will receive an email once their process is complete. Be sure to click "watch for the email" as the link in the email. The password set option is only live for 24 hours. Check your SPAM/Junk Mail folders if you do not receive a message in the appropriate timeframe. Access Professional Development Site, ELA Q: How do I access the teacher PD in the KReady system? If the button is not visible, click on the "Ready for Kindergarten logo" at the top of the window to take you to the home page where the green button is located. You will be taken to the “My User Dashboard”. Once there, you can select the desired program - “Kindergarten Readiness Assessment - PD Content (Ohio)” or “Early Learning Assessment Simulation and Content Assessment (OH)”. A: You must be identified as a Data Manager in OEDS prior to having access to the KRA system as a data manager. Once you are set up as Data Manager in OEDS, your information is then sent to Johns Hopkins University, the vendor for the KRA system, to create your account. You will receive an email once the account is ready. Be sure to click watch for the email as the link in the email to set your password is only live for 24 hours. Check SPAM folders if no message is received in the appropriate timeframe. Please also see http://education.ohio.gov/Topics/Data/Ohio-Educational-Directory-System-OEDS for additional information and instructions. Access Login, Account, Password, Access, Data Manager Account, KRA Q: What should I do if my password link isn't working? A: The password link you will receive in email is only good for 24 hours . ¬†If the date/time of your email message is more than 24 hours, go to http://ohio.kready.org and use the Forgot Password link. ¬†This will send you a new link to allow you to set your password. Access Temporary Account, Teacher Account, PD, Q: How do I obtain a teacher account for a professional development session? A: To set up a teacher account for training/professional development purposes only, click this link (Request Teacher Account) to submit a request to the help desk team and a member of the team will follow up to provide a temporary account. Q: What should be entered on the KReady System Student template for students that do not have an SSID? A: Follow the guidelines listed in this document OH ELA State Student ID Unique Identification Naming Convention. Q: Can an individual student be added manually to the Kready System? A: Yes, a student can be added manually to the Kready System However, it is recommended that students be added using to Bulk Loader. Adding Students Generating Transfer Request, District to District Transfer, ELA Q: How do I process student transfers (to and from) in the KReady System? A: Transfer requests are generated when data managers upload the student file using the Bulk Loader. The enrollments file must be loaded if new students have been added to a district and the district needs to assign the students to the new teachers. The templates for adding students and the enrollment file are located in the Bulk Loader section of the KReady System. Please view the “KReady Student Transfers Quick-guide” document for an overview of the transfers process. Assessment Student Scores, Parent Consent, ELA Q: Is parent consent required to administer the ELA? A: No, parental consent is not required to administer the ELA. Q: What is the expectation if a student enters the program towards the end of the assessment window and the teacher is unable to complete all required SKB's? A: The teacher needs to assess what information has been captured and report. The teacher also needs to continue assessing the student and report during the next window. The second option would involve the student's new teacher and previous school in hopes of sharing documentation for that student that may be reported. Q: Is it possible to complete the assessment on paper if there are system issues? A: YES. Schools can do the assessment on paper to enter into the system later if the school is having system issues. The teacher needs to assess what information has been captured and report. The teacher also needs to continue assessing the student and report during the next window. The second option would involve the student's new teacher and previous school in hopes of sharing documentation for that student that may be reported. Assessment Reason Codes, EMIS, Enter Scores, ELA Q: Do the data managers enter reason codes provided by the teacher? A: Teachers will convey the reason codes to the data managers and the data managers will submit the codes to the EMIS coordinator. Q: What are the Non-Scorable Reason Codes teachers will need to work data managers? 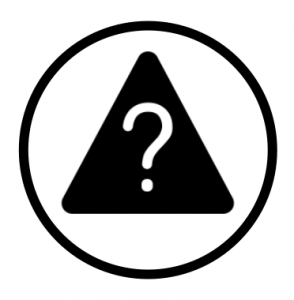 A: Click this link for the allowable Non-Scorable Reason Codes . Q: If a child earned a score lower than a 1 on a learning progression, will it be recorded as that score (A-D) or as an "N" in EMIS? A: Teachers would select "N". In these cases, programs that use EMIS to report child data are required to enter a reason code anytime a Learning Progression score of "N" is reported. They ( EMIS Coordinators)have been provided this information via internal communication. So when EMIS coordinators see that an "N" score has been entered that "N" needs to be converted to *** with the expected Reason Code or what is listed on the chart. Q: What do I do if I am unable to report a score for a student? A: When scoring the Early Learning Assessment, there are cases when a teacher will not be able to determine a score for a child on a skill, knowledge or behavior. In these cases, the teacher will enter an “N” score in the bridge document for the unscored skill, knowledge or behavior. A score of “N” will then be calculated at the Learning Progression level within the Bridge Document. *Note - Programs are required to enter a reason code anytime a Learning Progression score of “N” is reported. There are a number of reason codes to select from within EMIS or EAS if an “N” score is reported for a Learning Progression. See this document to view a list of the allowable reason codes. Currently, there is no column on the bridge document that is available to record reason codes. Programs must develop an internal communication process to assure that teachers are accurately reporting reason codes to their EMIS coordinator or the individual responsible for uploading student data in EAS, anytime an “N” score is reported for a Learning Progression. Only one reason code can be reported for each Learning Progression and score of “N”. If multiple Learning Progressions are scored as an “N”, a different reason code can be selected for each “N” score. Q: How do the 24 SKBs align to the Domains areas. A: These are the Domain areas and how the questions relate. Assessment Assessment, Paper, online, KRA Q: If I am having problems with the online version, can I still assess students? A: Assess the students on paper and enter the data as soon as the issue is resolved. All data must be entered before 11:50 pm on November 1 to be included in reporting. Bridge Form Format, Google, Sheets, ELA Q: Is it possible to open and enter information in the Bridge Form using Google Sheets? A: Yes - however it is strongly recommended not to use this option as it can result in calculation errors. Bridge Form Format, CSV, ELA Q: Can we submit the Bridge Form in CSV format to the data manager? A: We ask that the form be saved as an .xlsx file and submitted to the data manager to maintain the calculations. Bridge Form Timeline/Deadlines, ELA Q: When does the Bridge Form have to be submitted to our data manager? A: Teachers are asked to submit student scores as quickly as possible after the assessment is completed to provide data managers with time to process the information prior to submission to the Ohio Department of Education. Bridge Form help, support, resources, ELA Q: Where can I find the Bridge Form? A: You can find the Bridge Form at https://www.ohio-k12.help/kready-support/assessment_administration/ under the Entering Scores area and in the Bridge Form section. Bridge Form Fall, Spring, Submissions, ELA Q: How do I submit students scores for both the fall and spring collections? A: You will need to submit two copies of the Bridge Form - one for the Fall and one for the Spring collections. Add the appropriate year (e.g. fall 2017 or spring 2018) to the file name when saving. Bridge Form Submissions, Paper Form, v Q: Do we need to complete the Bridge Form spreadsheet if we have already sent in our fall data in paper form? A: No . Various versions of the submission forms have been provided to accommodate needs, however this will soon change to an electronic submission process and the use of paper submission forms will cease. Bridge Form Enter Scores, Submissions, Teacher, Tab, Data Manager, ELA Q: Does the teacher enter the student information on the data manager tab ? A: No. Teachers are only responsible for entering student scores on the "Enter Scores" tab . Bridge Form Collection Date, naming, file, ELA Q: Where do we enter the date of the test on the Bridge Form? Q: Is there a Bridge Form that will allow us to enter the full 32 Learning Progressions? A: You are allowed to collect all 32 Learning Progressions, however the Bridge Form is designed to only submit the 10 Required Learning Progressions. Q: The scores I have entered for my students vary (some have 1's or 2's, while others may have 4's or 5's) however when I see the summary scores for the Learning Progressions (LP's) I see "N's" Why would this be the case if I did not enter an "N" for their score? A: The Bridge Form was designed to provide summary Learning Progression scores for the Skills, Knowledge, and Behaviors (SKB's) that have been scored by teachers on the Enter Scores tab. The summary scores display the lowest entered SKB for the student in a specific domain. if "N" is entered in a domain or the domain is not scored (left blank) the resulting summary score will be "N". Bridge Form Data Manager, Attachment, Submissions, Reporting, ELA Q: How are scores reported to the State once they have been entered into the spreadsheet? 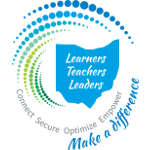 A: Teachers will provide the completed Bridge Form to their data manager for submission to the Ohio Department of Education. Please speak with your data manager to confirm how they would like to receive the Bridge Form (e.g. on portable storage such as a USB thumb drive, uploaded to a cloud storage service or via an email attachment). Q: Will the Bridge Form align with my Student Information System (SIS) input screen (e.g. DASL)? A: Each SIS is unique in how it handles data (input/output). The Bridge Form has been designed to capture student assessment data entered by the teacher and provide summary scores of the 10 required Learning Progressions to data managers for entry that aligns with the entry fields of the specific reporting system (EMIS or EAS). Data managers will need to work to align the summary scores with their SIS for submission to their specific reporting system. Data Reports/Reporting Data Reporting, Data Manager, Scores, EMIS, EAS, ELA Q: Which reporting system should I use - EMIS or EAS? A: Please see the ELA Data Reporting to identify the system your organization should use. Q: What is the process for submitting information to the EMIS reporting systems? A: Data Managers will add scores data to their SIS and that information will be transferred from their SIS to EMIS based upon their individual platform process and the EMIS submission guidelines. Data must be uploaded in EMIS using a manual format through the Data Collector Data Source tab. Q: How do I access the ELA Learning Progression Report in the KReady System as a data manager? A: Click the link to view steps for accessing the ELA Learning Progression Report. Data Reports/Reporting Accessing Previous Year's Data (Archives), ELA Q: How do I access previous year's data reports in the KReady System as a data manager? A: Click the link to view steps for accessing the KReady Data Archives. Q: DO I report ELA data to EMIS? A: ECE Grantee Reporting for the purposes of the Early Learning Assessment (ELA) is based on the licensing entity of the grantee, not the program location where the child is being served. JVS, Public School District, Community School or ESC's all report to EMIS. Student data for PSE served children will go back to the public school district to report to EMIS. Visit the EMIS page for details on reporting. Data Reports/Reporting EAS, ODJFS, EMIS, Charter, Non-public, ELA Q: What is EAS? A: Chartered non-public schools and programs licensed by the Ohio Department of Job and Family Services will use the Enterprise Application System (EAS). Public school districts, educational service centers, joint vocational schools, departments of developmental disabilities and community schools will use EMIS to report child, teacher and program data. ECE Grantee Reporting is based on the licensing entity of the grantee, not the program location where the child is being served. ODJFS licensed program, a Department of Developmental Disabilities or a Chartered Non- public school district will report ELA ratings for ECE funded children to EAS. Q: How do I enter scores into the EAS? A: Follow the steps outlined in this document "How to Enter Scores in EAS". Q: Am I able to filter students by Point of Authority (POA) for SKB Reports? A: Yes. The Filter by Point of Authority (POA) option was added to provide data managers with the ability to select ELA Skills, Knowledge and Behaviors (SKB) Ratings Report for two specific categories of students. The first category option represents all students that currently have enrollments in the KReady system for that specific location/district and a secondary category of students represent those for that the location/district is confirmed as the Point of Authority. A: All Early Childhood Education (ECE) and Preschool Special Education (PSE) programs funded by the Ohio Department of Education (ODE) are mandated to participate in Step Up To Quality (SUTQ) and are required to achieve a rating of 3, 4, or 5 to maintain state funding, as well as administer and report on the Early Learning Assessment (ELA)for all ECE and PSE funded children. The invitation to participate in SUTQ has now been made to all eligible publicly funded programs in Ohio. Q: What should I do if I receive an error in the teacher ID column? A: This error is caused when a student has transferred out and the receiving district has not accepted the transfer in the system. Contact the receiving district and request that the transfer be accepted. Ignore the error when determining completion. Format Legacy, Excel, Version, ELA Q: Can I open the Bridge Form using a legacy or older version of Excel? A: No. To ensure stability, it is recommended to use the most up to date version of Microsoft Excel for your platform. Format Leading Zero Dropped, format, ELA Q: How do I format data cells with leading zeros in the teacher, student and enrollment files? Q: What should I do if I receive the error message "Headers Do Not Match"? Copy row 1 from the template and paste it over row 1 in your data file. If you continue to receive the message, please contact support and provide screen shots and an explanation of the processes you have tried. Loading Data Error Message, Loading Data, Formatting Data,KRA Q: What should be done if an error occurs when loading teachers manually? A: When loading a teacher manually, you may receive an error message. This is a known intermittent issue. If you receive the forbidden error when loading a teacher, please search the users to confirm if the teacher account was created. It has been reported that most are actually created when the error is received. If the teacher account is created, click on open to set the user as a teacher and complete the setup process. Q: What should be done when the Data manager sees students but teacher does not? If the files are loaded out of order, the teachers will not see the students. Be sure that the enrollment file contains the Data Collection Token for the current assessment window which can be found under Data Collection once you are logged into the system. Teachers will see the students after clicking the link for the current data collection on the dashboard when they login . Loading Data Loading Data, Enrollments, KRA Q: If a student attends another district, which district reports the scores (attending or home district) and therefore loads the teacher and student data? A: The district that reports the student's score to EMIS is the Point of Authority and the district that needs to load the teacher and student information. Loading Data Loading Data, Formatting, KRA Q: Why do I keep receiving a header error when my headers are formatted correctly? A: You must use the current version of Excel. Q: If a student has an NS for an item, does the Item Completion Report shows as an "X" or is it blank? "It should be an "X" since the NS is the score? A: Yes, NS is considered a score option and the “X” should appear in the Completion By Item Report if NS has been entered for an item. Submissions DD sites, Developmental Disabled, Typical Student, ELA Q: Do programs that service developmental disabled students need to provide scores for typical students as well? A: No, unless they are using other public funding (ECE or PFCC) to support the typical children. Q: Are we required to hire a data manager? A: You do not need to hire a person to be the data manager; however, you do need to assign a person to the role of data manager. See this link for information Assigning Roles in OEDS. Submissions Enter Scores, Teacher, Related Services, ELA Q: Who is responsible for administering the ELA for children receiving related services (per parent request) when there is no assigned teacher. Submissions Enter Scores, Teacher, Self-Paying Programs, ODJFS, ELA Q: Do typically developing children in the center-based classroom who are self-paying need to have an ELA? A: Any ECE funded or preschool special education funded child in any program is required to complete the required 10 Learning Progressions, however typical self-paying students are not required to complete the ELA. Q: Can schools can do the assessment on paper to enter into system later, if the school is having system issues? A: The teacher needs to assess what information has been captured and report. The teache also needs to continue assessing the student and report during the next window. The second option would involve the student's new teacher and previous school in hopes of sharing documentation for that student that may be reported. Q: How do I load teachers and students into the KReady System if the teacher is from one district and provides services for a student in a different district? A: The home school must load the assessing teacher (from the external district) with their current email (from the external district) and license number via the teacher Bulk Loader, but with the home district's district IRN and building IRN. This gives the teacher access to the school with one account. This also allows the home district to enroll the student to the teacher, even though the teacher is not a teacher in that district. This occurs when itinerant teacher services are provided by outside agencies or providers. Q: How can I check to ensure a student is attached to a data collection? A: Student Data Collection attachments can be confirmed by viewing the data collections assignments. To access this area follow this path in the KReady System: organizations > view districts > view locations > view students > open a student and click the data collection assignments tab. If the student has the data token assigned it will appear here. Uploading File Point of Authority, Error, POA, Transfer Request, Incomplete, ELA Q: I am receiving POA errors, how should I address this? A: A Point of Authority (POA) error is typically the result of an incomplete transfer request in or out of your building thus resulting in a pending transfer request. Please confirm that your transfer requests are all cleared and ensure that the requests from others have all been approved or declined. Q: How do I format data cells with leading zeros in the teacher, student and enrollment files?